Diets which are very low in salt, or very high, both appear to be harmful according to a large international study which claims most people’s intake doesn’t appear to increase risks of heart problems. The NHS recommends adults should eat no more than 6g of salt per day, and that above this level salt in the diet will lead to high blood pressure and increased risk of heart attacks and stroke. But a study published in The Lancet medical journal on Thursday, which followed the diets of 95,767 participants in 18 countries, argues that regularly eating between 7.5g and 12.5g of salt (2g to 5g of sodium) a day makes little difference. The authors go as far as claiming that very low levels, below 5g, of salt appeared to put people in the study at greater risk of cardiovascular disease, but this has been contested by other researchers. “Our study adds to growing evidence to suggest that, at moderate intake, sodium may have a beneficial role in cardiovascular health, but a potentially more harmful role when intake is very high or very low,” said Professor Andrew Mente, a population health expert from McMaster University, Canada. “Our bodies need essential nutrients like sodium, but the question is how much,” he said. The study found very salty diets were associated with higher blood pressure and greater numbers of strokes. However this was seen most clearly in those communities eating very high levels, above 12.5g of salt a day, and these were mainly in China where soy sauce is used extensively. In fact 80 per cent of the Chinese communities studied breached the very high salt intake threshold, while 84 per cent of the communities outside of China were within the “moderate” threshold. It also found that cardiovascular events decreased where people were eating more potassium, which is abundant in fruits, nuts and vegetables. But whether this is protective or just a sign of a good diet is unclear. 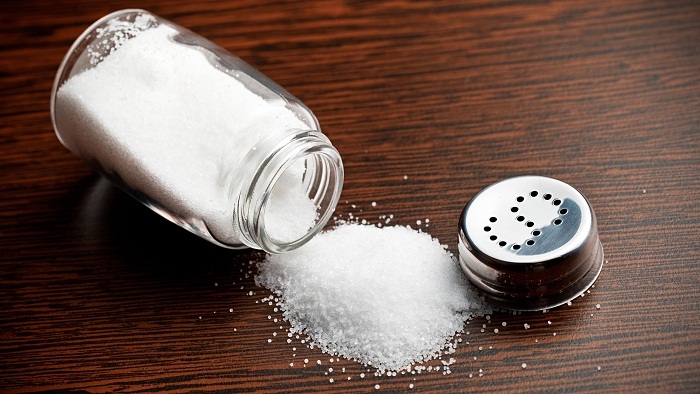 No country has yet managed to bring average adult salt intake below the 5g-a-day threshold recommended by the World Health Organisation (WHO) – the UK average is 8g the NHS says. The body needs sodium but requirements are very low outside of hot climates – where sweating means salt is lost easily – and the effect of low levels is less clear. “While low sodium intake does reduce blood pressure, at very low levels it may also have other effects, including adverse elevations of certain hormones associated with an increase in risk of death and cardiovascular diseases,” Professor Mente said. “What is controversial in this paper is the suggestion that it may be harmful and so not be worth lowering intakes as low as that recommended by the WHO guidelines,” said Tom Sanders, a professor of nutrition and dietetics at King’s College London. Professor Graham Macgregor, a professor of cardiovascular medicine at Queen Mary University, was more blunt. “The totality of evidence shows that lowering salt intake leads to a fall in cardiovascular disease events, the commonest cause of death and disability worldwide.